Shared Inspiration by Jill Jacobsen: Glow in the Dark!! WOW!! 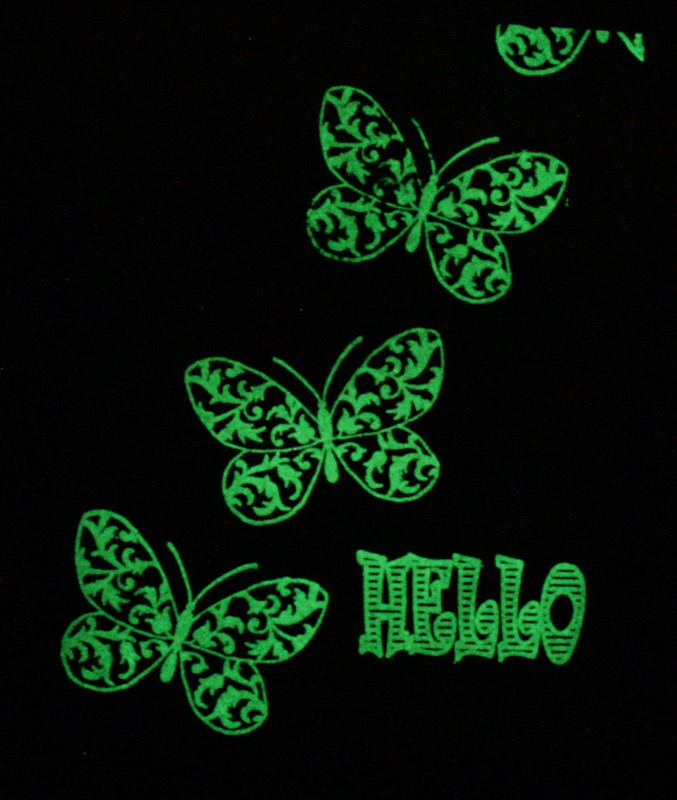 Is this a fun new product...Glow in the Dark embossing powder! We just got it in at Sparkle N Sprinkle and I couldn't wait to play with it, so I grabbed the first stamp that was on my desk. I stamped it with Versamark and embossed it with the new powder and then used a dauber over it to make it more visible in the light. Then I took it in the utility room and boy does it glow!! It is so bright and clear! I can't wait to play with it some more...maybe secret messages on a kids card...a starry night....what ideas can you come up with! It took me a while to get a picture of it, but with the help of my daughter I finally got it. You just have to get some of this stuff!!! Check it out here. Wow! This is too cool, Jill! I thought it was 2 different cards.